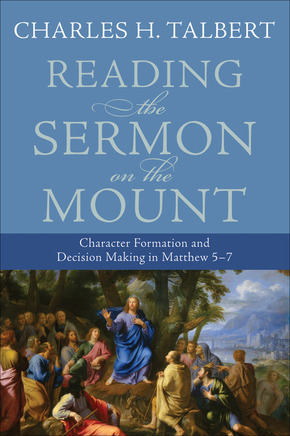 It is time to give away my extra copy of Charles Talbert’s Reading the Sermon on the Mount: Character Formation and Decision Making in Matthew 5–7 . As I mentioned in the previous post, I plan on teaching through the Sermon in my Sunday School class (which is now called “Second Hour” for hipster reasons which sometimes escape me). Browsing through Sermon on the Mount titles at Baker Books in Grand Rapids, I bought a copy of Talbert, only to discover it was already on my shelf. Huzzah to Dwight for winning this book. Please contact me via email (plong42 at gmail .com) or a DM on twitter (@Plong42) with your mailing address and I will pop this book in the mail ASAP. I will launch the next give away this afternoon, so be sure to check back soon. CONGRATULATIONS, Dwight! Enjoy the book! And thanks, Dr. Long, for the excitement that that raffle generated! More raffles to come! I think it’s great how you have book giveaways. I enjoy reading your posts/blog. Have you launched your next book giveaway?